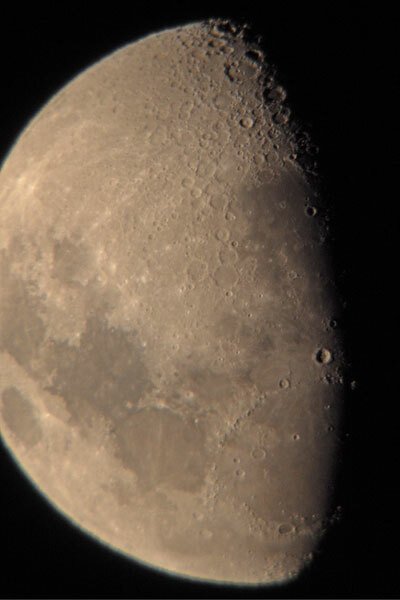 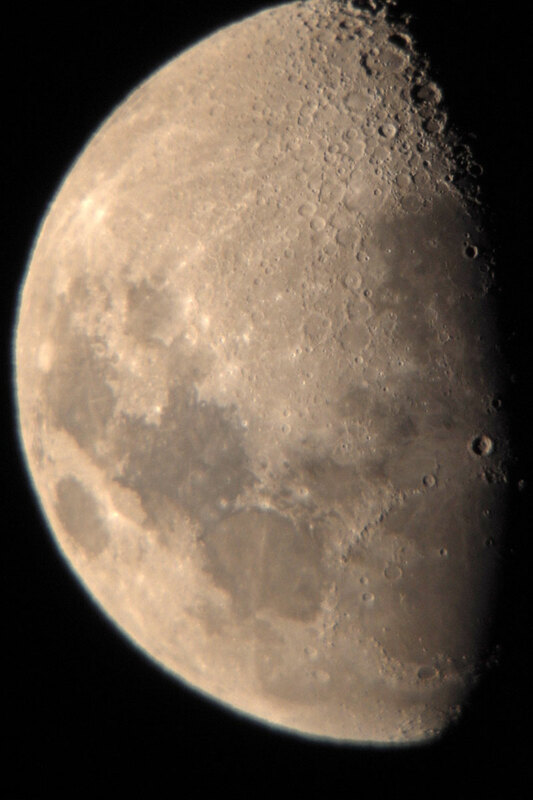 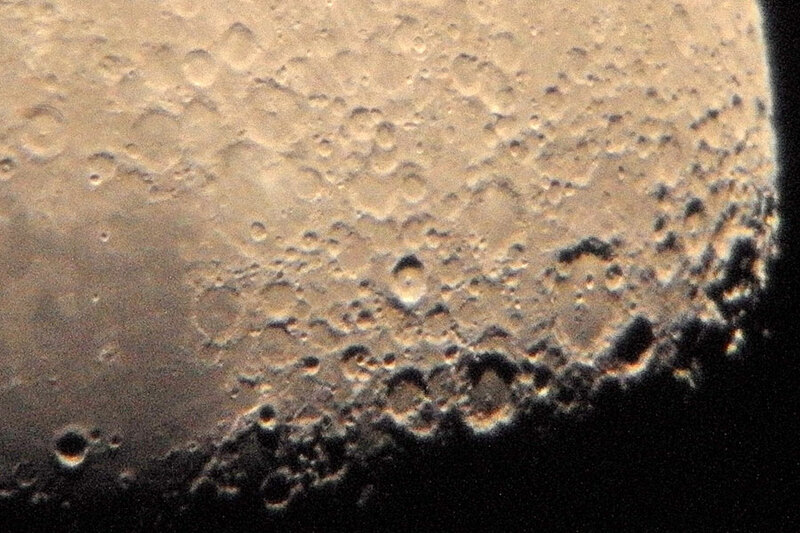 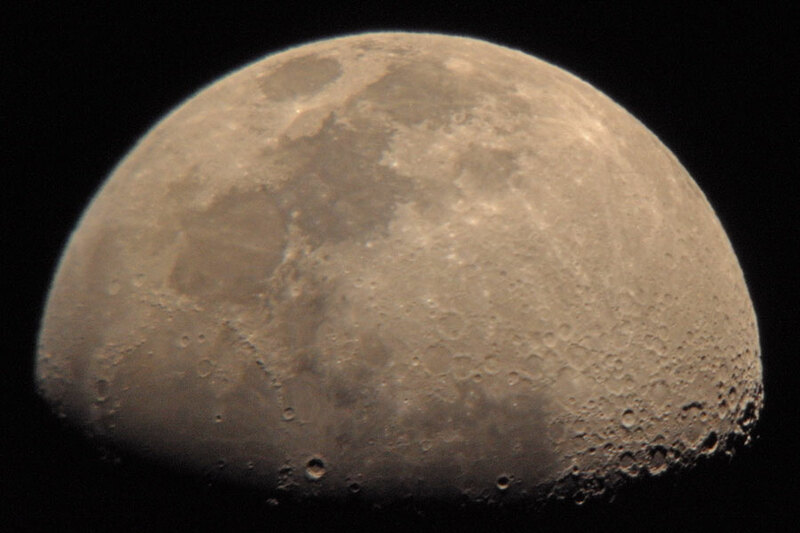 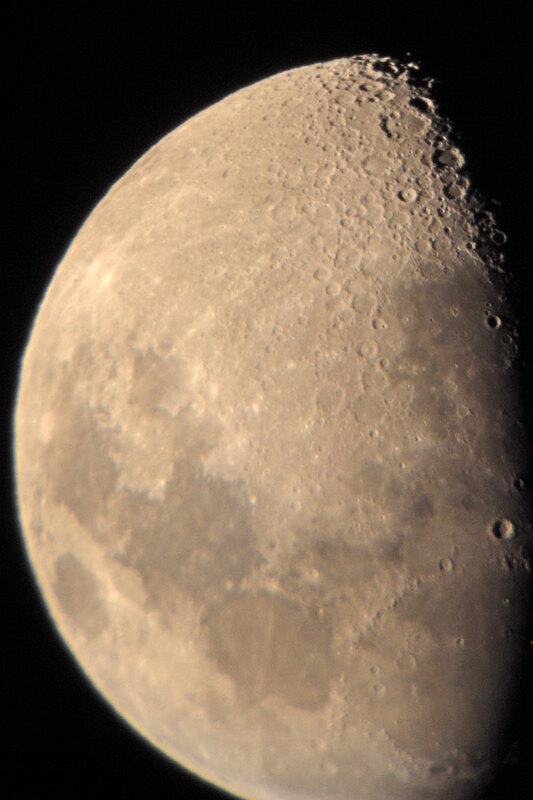 In July 2015, I finally tried to take some pictures of the moon with my new Sky-Watcher Heritage 100P Dobsonian telescope, after having collimated (adjusted) it. 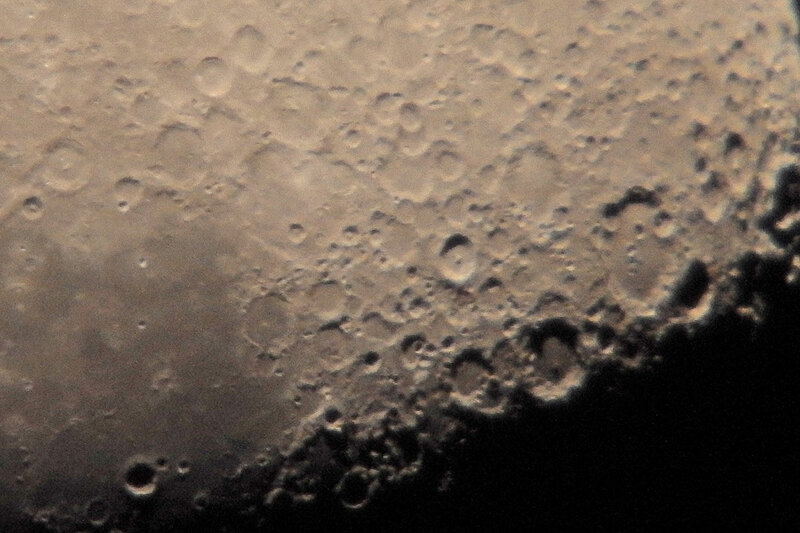 I also took some photos with the Sky-Watcher Heritage 76 telescope, but these were not satisfying and are therefore not shown here (I present a few photos on the page that discusses this telescope). 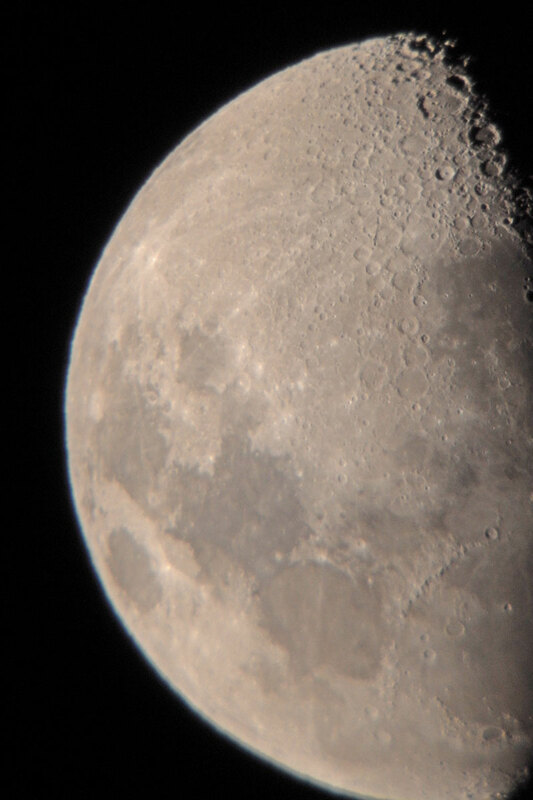 The photos were taken with the Leica X Vario using the 1:50-Method (camera held to the eyepiece). 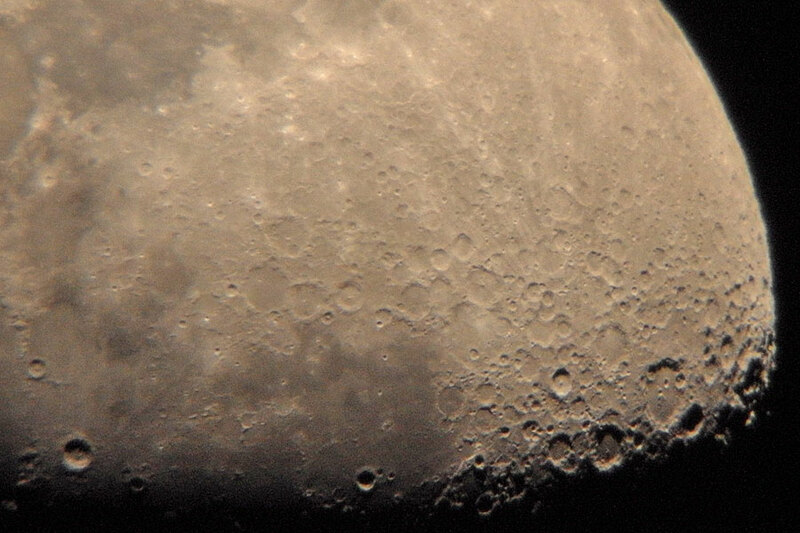 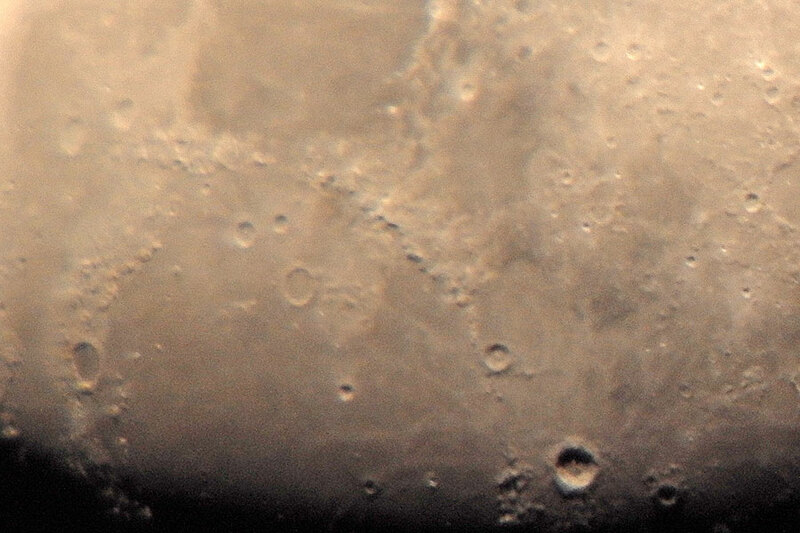 Note: For the 2016 photos of the moon with this telescope I used the 32 mm DigiScope eyepiece and therefore was able to apply the projection method.